The story of Hungarian wine could be played out on the stage of the Budapest opera house. It’s dramatic and action-packed, involving Roman legions, invading Turkish armies, blood and bulls, writers and musicians, myths and legends, vampires and princes. And yet, despite its historical popularity among warriors, kings and artists for both magical and prestigious reasons, one of Hungary's most famous characters, Count Dracula, admitted to never drinking wine himself. In light of some of the recent innovations that have transformed Hungary's wine industry, it can be argued that this was one of the Count's biggest mistakes. ​The Romans left a winemaking legacy and traditions in western Hungary, which formed part of the Roman province of Pannonia. When not in battle, Roman soldiers were required by Caesar to cultivate land and it was based on this ordination, along with the requirement that Roman soldiers drink a litre of wine per day, that winemaking was first established in Hungary. Subsequent invaders and settlers – first the Huns and Avars and then the Magyars, from whom the modern Hungarian nation is descended – preserved the winemaking heritage left by the Romans. In the Middle Ages the Church helped to further establish winemaking and encouraged Italians and others with winemaking skills to settle in Hungary. When the Ottoman Turks invaded from the south in the mid-1500s, it was wine that apparently helped the Hungarians (at least temporarily) to fend off the Turkish invaders. During the siege of Eger Castle in 1552, the defending soldiers are said to have drunk wine from the castle cellars, which resulted in their beards being stained red. The invading Turks believed a rumour that the wine was mixed with the blood of bulls and that this had given the Hungarians supernatural strength and contributed to their fierce and solid resistance. ​Needless to say, the Hungarians won the day. ​One of Hungary’s most famous wines, Egri Bikavér (Bull’s Blood), gets its name from this moment of supernatural overpowering of the Turkish armies at Eger. Egri Bikavér was traditionally made from three grape varieties – Kadarka, Kékfrankos (known as Blaufränkisch in Austria and Lemberger in Germany), and Blauer Portugieser, which was widely used during the communist years to produce large quantities of dull wine. In the past couple of years rules governing the composition of Egri Bikavér have changed. In Eger, the use of thirteen different grape varieties is permitted but there must be local varieties present in the blend. It is increasingly common to find local varieties such as Kadarka or Kékfrankos being blended with international varieties such as Pinot Noir, Cabernet Sauvignon, Cabernet Franc, Merlot or Syrah. New Eger winemakers are working hard to dispel the bad reputation that Egri Bikavér acquired during the years of communist overproduction and are now producing more innovative, interesting and complex blends. Higher quality blends (called Bikavér Superior) spend a whole year maturing in oak barrels and six months in the bottle before they are sold. ​Although the Turks were routed at Eger by the wine-empowered Hungarian forces, the greater part of Hungary eventually succumbed to Turkish-Ottoman rule and remained under Ottoman control until around 1700, when the Hungarian lands were captured and incorporated into the Austrian-Habsburg Empire. During Ottoman rule, winemaking declined throughout much of Hungary. Nevertheless, it was never fully suppressed and, among other reasons, wine was an important source of tax revenue for the Ottoman overlords. 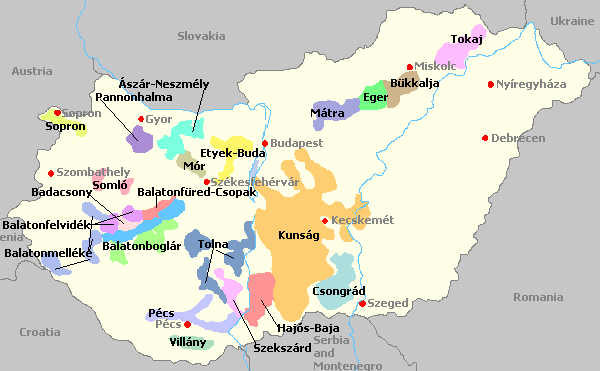 Two regions where winemaking continued to flourish were along the Ottoman’s Empire’s northern borders with Austria and Poland, especially around Eger and in the hills of Tokaj. It was during the period of Ottoman rule that Hungary’s other famous wine emerged from the Tokaj region. In the mid-1600s, the Princes of Transylvania inherited Tokaj castle and the surrounding wine estates. One day, when facing imminent attack from the Turks who conducted frequent slave raids on the area, the family delayed the harvest, only to discover that the grapes had become infected by a fungus called Botrytis cinerea (otherwise known as the Noble Rot). Tokaj’s warm south-sloping vineyards in the foothills of the Carpathian Mountains benefit from long dry autumns, but also experience early morning humidity created by the nearby Tisza and Bodrog rivers. These conditions are perfect for the formation of Noble Rot. Rot-infected grapes are used to produce world famous Tokaji Aszú, a sweet amber-coloured wine with aromas and flavours of marmalade, apricots and honey. The sweetness level of a Tokaj wine is known as the puttony and the scale runs from three to six puttonyos. Other styles of Tokaji include Tokaji Szamorodni, which is made from bunches of grapes containing a high proportion of botrytised grapes. Meanwhile, Tokaji Eszencia, the sweetest of the Tokaj wines, are very rare and only made in the best years from the free run juice of the botrytised berries. Tokaj wines expanded their international reputation during the period of Austrian rule, when they were used by Austrian rulers to impress other foreign leaders, including Russia’s Peter the Great and Prussia’s Frederick II. Tokaji was so highly coveted, both at home and abroad, during this period that it was believed to contain healing and restorative powers. Tokaji has also featured in popular culture where it’s been celebrated by composers from Beethoven to Liszt and featured in literature by Goethe, Sir Arthur Conan Doyle (creator of Sherlock Holmes) and Bram Stoker, whose character Jonathan Harker was served Tokaji on his first night in Dracula’s castle. Despite this, Dracula himself (played in the 1931 film by Hungarian actor Bela Lugosi) confesses to never drinking wine. The main grape varieties typically used to make Tokaj dessert wine are Furmint, Hárslevelű and Sárga Muskotály (Yellow Muscat). However, in Tokaj and elsewhere in Hungary, these grapes are increasingly being used to make non-botrytis dry wines. ​Although Tokaj and other Hungarian wine regions suffered during the communist years, the country's wine industry has experienced a massive come back over the last 25 years, thanks partly to international investment and the adoption of new winemaking technologies. These include the use of stainless steel tanks for white wine fermentation, the use of oak barriques for maturation and fermentation and the adoption of more innovative approaches to blending. Regulation and new laws have also played their part by helping to establish industry benchmarks and set quality standards. 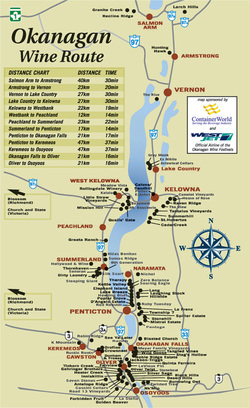 For example, a 1997 law established 22 official wine regions. Tokaj and Eger, already discussed, both lie in the north east of the country, along with Hungary's second largest wine region, Mátra, which is known for white wines made from Olasz Rizling, Tramini and Chardonnay. By contrast, Sopron in the far north east on the Austrian border and next to Lake Neusiedl (Fertő in Hungarian) is known for red wines made from Kékfrankos. This reflects a similar trend seen across the border in Austria, whereby the area around Lake Neusiedl has become famous for its Blaufränkisch wines. ​In the west around Lake Balaton, which is Europe's largest lake and a major centre of leisure and recreation for Hungarians, four wine regions have been established. In the Badacsony wine region on the Northern shores of Lake Balaton, grape cultivation on the area's volcanic soils stretches back to Roman times. Szürkebarát (a descendant of Pinot Gris) is one of the best known varieties cultivated in Badacsony. Although Kéknyelű was historically the dominant grape variety, Kéknyelű plantations were severely damaged by frost in the 1980s. Despite this, Kéknyelű, which produces full-bodied, smoky wines, is experiencing a rise in popularity. Hungarian winemakers are experimenting successfully with a range of international white grape varieties, including Chardonnay, Pinot Gris, Sauvignon Blanc and Viognier. Although styles vary, the resulting white wines are often richer and more full-bodied than wines produced from those varieties in France. Oaking is also sometimes used - for maturation, fermentation or both. Meanwhile, a parallel focus on local white grape varieties such as Furmint, Hárslevelű, Kéknyelű, Irsai Olivér and Juhfark offers Hungarian producers a further opportunity to differentiate their wines in international markets. Together with the production of more complex and interesting reds, recent innovations show that Hungarian wine is finally coming of age, shaking off its communist past and reclaiming its former glory. 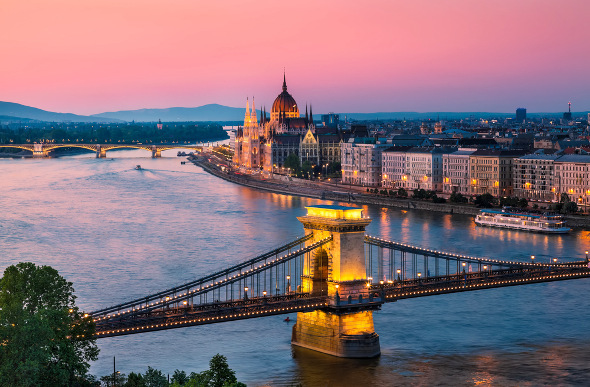 With a growing variety of great Hungarian wines now appearing in international stores and restaurants, it will become increasingly hard for us to resist their magical allure. Even Dracula may acquire a taste for them. Furmint (w) - the principal grape variety in Tokaji dessert wines. Also makes dry wines with high acidity with varietal characteristics including apple, pear, quince, green herbs, spice and (with age) honey and nuts. Also grown in Slovenia, Croatia and with small amounts in Austria and South Africa. Hárslevelű (w) - the second main grape variety used for making Tokaji dessert wines. Hárslevelű is highly aromatic with floral perfumed aromas and flavours of elderflower and lime tree blossom. Also grown in Slovakia, Romania and a small amount in South Africa. Sárga Muskotály (w) - the third important variety used for making Tokaji dessert wines. Aromatic with orange blossom characteristics. Also grown in France, Italy, Spain, Portugal, California and elsewhere. Olasz Rizling (Welschriesling) (w) - produces crisp, light dry wines with nutty characteristics. 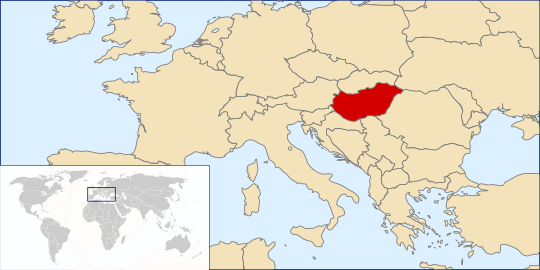 Also grown in Austria, the Czech and Slovak Republics, Slovenia, Croatia and Romania. Irsai Olivér (w) - produces soft, dry, aromatic wines with grapy characteristics and lowish acidity. Also grown in Slovakia and, in smaller quantities in the Czech Republic, Russia and Switzerland. ​Kadarka (r) - although Kadarka has been in decline in Hungary in recent years, it is still used to produce medium-bodied red wines that are sometimes described as having similar characteristics to Pinot Noir. Also grown in Bulgaria, Macedonia and Albania. Kékfrankos (r) - known as known as Blaufränkisch in Austria and Lemberger in Germany, Kékfrankos is also grown in the Czech Republic, Croatia and Canada, among other places. Kékfrankos can produce well-structured spicy red wines with red cherry, blueberry and red current flavours. Trump Wine - from the "Mother of Presidents"
​This week the Drake Vine was amazed to watch Donald Trump unashamedly promote his own vineyard and Trump-branded wines at his press conference following two primary victories. Who would have thought that Donald Trump, a teetotaller, owned a vineyard? Well technically speaking he doesn’t. Nor, as Trump boasted, is it the “largest winery on the east coast” at “close to 2,000 acres”. First planted in 1999, Trump Winery has almost 200 acres of French vinifera varieties on a 1,300-acre estate in the foothills of Virginia’s Blue Ridge Mountains. The range of wines produced by Trump Winery, some of which have won awards – both prior to and since Trump’s acquisition of the winery – include Sparkling Blanc de Blanc and Blanc de Noir wines, as well as still Chardonnays, Viogniers, Sauvignon Blancs, Roses and a “Meritage” Bordeaux-style blend. Virginia wine producers may be thankful to Donald Trump for highlighting Virginia as an important wine-producing region. Although wine has been made in Virginia since the first European settlers arrived in the 1600s, hot humid summers can be a challenge to grape cultivation, and it has only been in the last 20 years that the region has received serious recognition for its wines. Leading Virginia varieties include Cabernet Franc and Merlot, among reds, and Chardonnay, Viognier and Vidal Blanc, among whites. Virginia now ranks as the fifth largest wine producing state in the US. It is perhaps ironic that Trump Winery should be in Virginia, which bears the nickname “Mother of Presidents” because more US presidents have been born there than in any other US state. Should Trump win the US presidential elections, he’d be in the unusual position of being the only US president ever to have his own range of branded wines despite being a non-drinker. By contrast, the US has had several wine-loving presidents. They include George Washington, who reportedly had a thirst for Portuguese Madeira, and Thomas Jefferson, whose all-rounded passion for wine led him on an unsuccessful attempt to grow grapes in his native Virginia. ​In more recent times, Richard Nixon had a love of fine French Bordeaux and Champagne, which he would allegedly drink himself while serving cheaper wine to White House dinner guests. 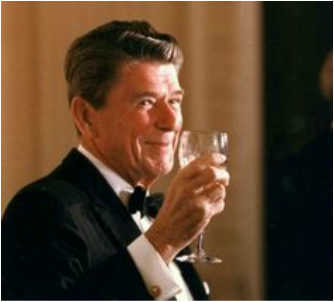 And Ronald Reagan is remembered for the support he gave to American wine producers, especially those from his home state California. Austrian wine has come a long way since the Antifreeze Scandal of 1985, when a handful of unscrupulous winemakers were discovered to be illegally modifying their wines with diethylene glycol (a component of antifreeze). After World War One, Austria was the world’s largest wine producer, with the industry predominantly focused on producing and exporting bulk wine to Germany. However, the Antifreeze Scandal devastated the Austrian market and forced the industry to abandon low standard bulk wine production in favour of quality wines. 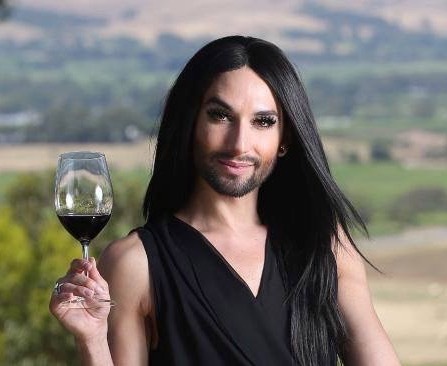 Since 1985, efforts to improve Austrian wine have, in the words of Conchita Wurst, Austrian winner of the 2015 Eurovision Song Contest, helped Austria’s industry to “rise like a phoenix” from the ruin created by the Antifreeze Scandal. Austria’s wine industry has since remoulded itself a supplier of high-quality, innovative and expressive wines that are now grabbing the attention and taste buds of international consumers. ​I'm willing to bet that few readers of the Drake Vine will have tried Austrian wine before. And of those of you who say, "yes, I've tried Austrian wine", the chances are it was a Grüner Veltliner (GV for short). In the UK, US and other countries, GV can be found in a growing number of restaurants, and being offered by both mainstream and specialist retailers. Although it's made into wines of varying styles – including light, full-bodied and off-dry – most of the GVs I’ve encountered in the UK have been dry and crisp with fresh citrus and flinty flavour characteristics. The relatively high price and artisanal character of Austrian wine dovetails with the image of Austria as a cool, clean and classy country that offers visitors everything from alpine skiing in crisp mountain air to music and museums in Austria’s sophisticated capital Vienna. 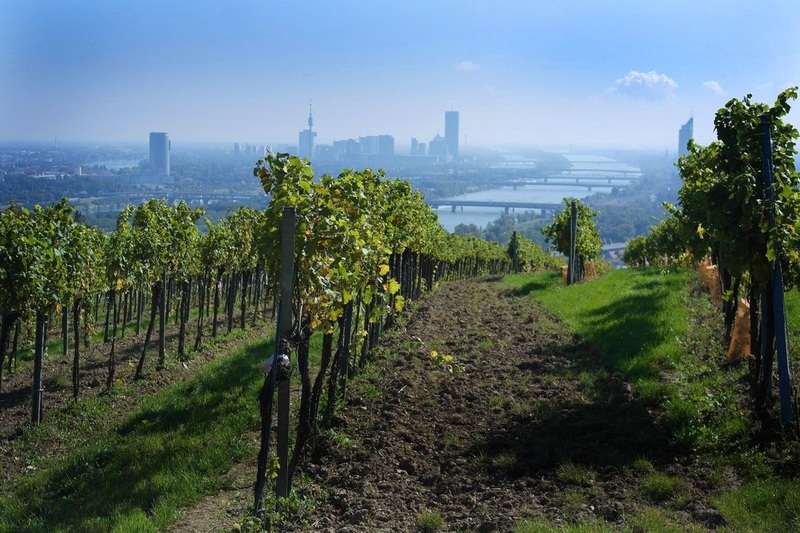 It’s claimed that Vienna is the world's only capital city that is also a significant wine-producing region, with a total of 1,536 acres (622ha) of vineyards within the city boundaries. However, across the 16 official wine districts that are spread across this area, there is a huge amount of diversity in terms of soil types, grape varieties, wine styles and the climatic conditions to which grapes are exposed. 35 grape varieties are officially recognised by the country’s classification system. They include those that are found internationally and those that are indigenous or regional. Of the international varieties, Austrian winemakers are working successfully with "aromatic" whites such as Riesling, Sauvignon Blanc, Traminer, Müller-Thurgau (also big in Germany), Muscat (known locally as Muskateller) and Pinot Blanc (Weissburgunder). However, it’s the use of indigenous varieties that’s helping Austria differentiate its offering to international consumers. The most famous local variety, Grüner Veltliner, is mainly grown in the northeast of the country and production is especially lively to the west of Vienna – in Kremstal, Kamptal and in Austria’s most famous wine region the Wachau. Forty miles (65km) to the west of Vienna, where the Danube passes 1600ft (490m) high cliffs, it is in the Wachau that the hills really do come alive to the sound of Austrian wine. ​Here the grapes are influenced by hot summers and cooling night-time air from the north. GV is the traditional Wachau grape, although Riesling is also widespread. The influence of cooling northern air helps to produce wines that are fresh and racy with good acidity. In Austria and internationally, Grüner Veltliner – with its tendency to take on a spicy and peppery character – has developed a reputation for being a good companion with Asian cuisine – especially Thai and Chinese. It also waltzes well with oysters, sushi, asparagus and artichokes. Other local Austrian white varieties include Zierfandler and Rotgipfler, used to make full-bodied, spicy and sometimes off-dry or sweet wines; Roter Veltliner, a rose coloured grape from which creamy whites are made; Neuberger, which gives rich, spicy wines, sweet, semi-sweet or dry; and Welschriesling (no relation of Riesling) with its green apple aromas. Welschriesling is used in Burgenland to make renowned sweet wines. These are produced near Lake Neusiedl (Neusiedlersee), where autumn mists from the lake, and from the thousands of small wetland ponds that surround the lake, encourage noble rot (botrytis) to attack the grapes almost every year. Burgandland has also been at the forefront of Austria's red wine renaissance, which began after 1985 as pioneer producers applied advanced red-wine making techniques to imported French varieties, as well as to Austrian ones. Around 30% of Austrian wines are red, with the majority coming from Zweigelt, Blaufränkisch, Blauer Portugieser and Pinot Noir. The most widely planted red grape, Zweigelt, produces rich, cherry-fruited wines with a peppery character. However, Zweigelt is often used in red blends as a “workhorse” grape. Zweigelt was first developed in 1922 by Dr Zweigelt, who crossbred Saint Laurent with Blaufränkisch. Outside Austria, Zweigelt is being produced by winemakers in England, Canada, New York, Japan, and in other parts of Central and Eastern Europe. Blaufränkisch by contrast, is firmer than Zweigelt, presents more acidity and tannin, and demonstrates great aging potential. 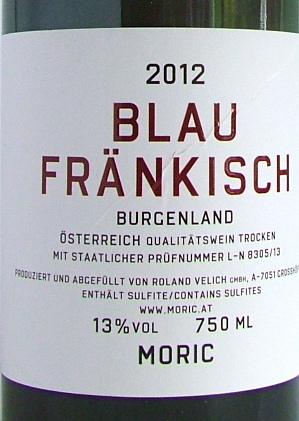 Blaufränkisch flourishes in Austria’s Burgenland region, especially around Lake Neusiedl. Different styles are produced, including those that are mineralic, those that are opulent and those that are racy. ​According to Oz Clarke, the best examples of Austrian Blaufränkisch are “zesty, often unoaked, with flavours of blueberries, red cherries and red currents”. When part of red blends, “low yield Blaufränkisch brings structure and acidity”. Austria's third most widely grown red grape variety, Blauer Portugieser, produces fresh, fruity red wines that are best drunk young. ​Meanwhile, Pinot Noir (known locally as either Blauburgunder, or Blauer Spätburgunder) can be found in all of Austria's growing regions and typically produces fresh, cool climate style Pinots. Pinot Noir and Blaufränkisch are among the many Austrian varieties being sold by Newcomer Wines, a London-based Austrian wine specialist that supplies UK restaurants and hotels, as well as selling directly to consumers. Although it's currently based in BOXPARK, a pop-up mall in Shoreditch, Newcomer Wines plans to open store in Dalston in 2016. London's Newcomer Wines is just one example of the international impact of Austria’s wine revolution that looks set to gather pace. Whether fresh and racy, classy and opulent, or alternative, bold and expressive, it's clear that the "Do-Re-Mi" of Austrian wine is finally being heard well beyond the hills. Judging by the number of innovative new wine stores, themed bars and retail initiatives that appeared in 2015, London’s wine scene continues to become more diverse, cosmopolitan and exciting. Many of the most interesting changes to London's wine landscape have occurred in the last 3-4 years and include the introduction by major retailers of wines from new countries and new varieties. London has also seen the arrival of new specialist wine bars and stores, some of which promise to offer visitors a wine tasting and wine appreciation “experience”. All of this seems to enforce the view that wine is steadily broadening its appeal to a larger cross-section of people, and is increasingly associated with fun, travel (both real and virtual) and a new vibrant culture, rather than status and elitism. Alongside this new vitality of the London wine scene is a recent uptick in the amount of wine consumed in the UK, as well as predictions of sustained growth over the next few years. According to experts the UK ranks sixth in the world in terms of the amount of wine consumed, with 30 million people (or 60% of all adults) drinking wine on a regular basis. However, the UK is the world’s third largest spender on wine and, according to predictions, will spend over $17 billion on still wines in 2018 – second only to the US, whose spending will reach $33.2 billion in 2018. The growing popularity of wine drinking in the UK reflects (i) the media’s considerably expanded coverage of wine, wine tourism and food and wine pairing; (ii) a stronger wine culture in restaurants and gastro pubs with more restaurants offering paring recommendations; (iii) a burgeoning market for online wine retailing; and (iv) the enthusiasm for overseas travel which exposes British visitors to major wine making and drinking cultures. ​In the last few years London has seen the arrival of new specialist wine bars and stores that aim not only to sell wine, but to offer consumers a unique “wine experience”. Notable examples including The Sampler (www.thesampler.co.uk), which was launched in 2006 and now has outlets in Islington and South Kensington; Vagabond Wines (https://vagabondwines.co.uk), which opened its Fulham store in 2010 and has since opened outlets in Fitzrovia and Spitalfields; and the New Street Wine Shop (www.newstreetwineshop.co.uk), which opened in 2013 near Liverpool Street. 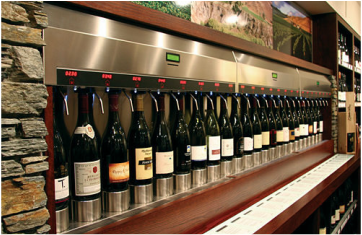 All of these stores are equipped with Enomatic machines (wine dispensers), which offer customers the opportunity to linger on-premise and enjoy wines of varying styles and from a wide selection of wine-producing countries and regions. ​Other stores that have gained a reputation for introducing customers to new producers, styles and varieties include Bottle Apostle (www.bottleapostle.com), which launched its first store in 2009 in Hackney’s Victoria Park Village. 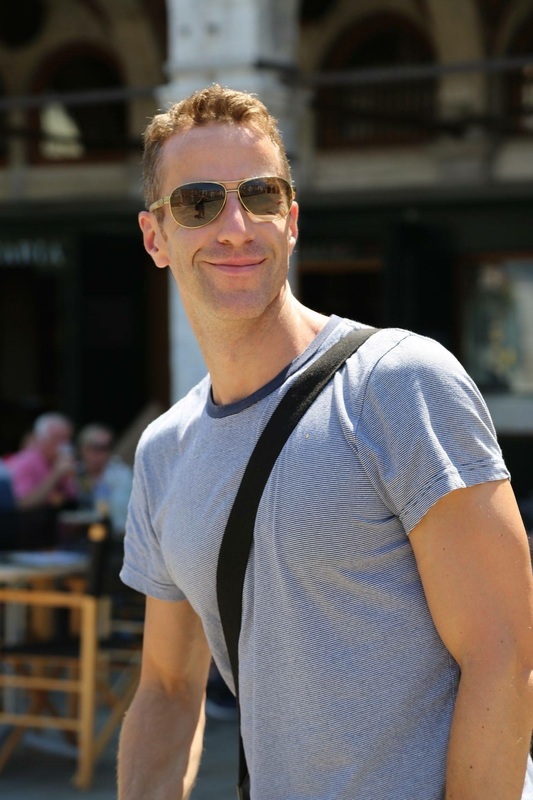 It has since expanded to open new stores in Crouch End, Clapham, East Village and Primrose Hill. Together with its stock of well-recognised producers from France, Italy and Australia are wines from Quebec, Switzerland, Georgia, Lebanon and Syria. The Drake Vine recently had the pleasure of trying the 2009 Chateau Bargylus Blanc from Syria, a superb medium-bodied white wine made from a blend of Chardonnay (60%) and Sauvignon Blanc (40%). The Chateau Bargylus vineyards, which are owned by two Syrian-Lebanese brother, are located in the province of Latakia in northwest Syria. In addition to their white blend, Chateau Bargylus produced a red blend made of Cabernet Sauvignon (35%), Merlot (25%) and Syrah (40%). 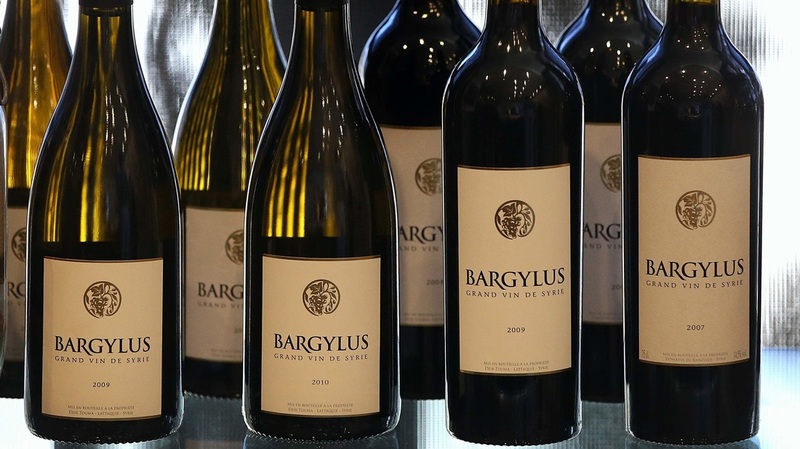 Despite the hazardous journey it has to go through to leave Syria, Chateau Bargylus's wine is on the menus of top Michelin-starred restaurants around the world. ​Hedonism Wines (https://hedonism.co.uk), another relatively new arrival to London’s wine store scene, opened its Mayfair establishment in 2012, backed by its owner, the Russian exile (and Putin critic) Yevgeny Chichvarkin. Although Hedonism Wines stocks a large section of wines for under £30 a bottle, the price of more exclusive wines soars into the thousands of pounds range and the look and feel of its Mayfair store is generally high-end and glitzy. Tucked away in its cellars are wines from Brazil, Uruguay, Japan, Slovenia, Israel, Armenia, Russia and Ukraine. 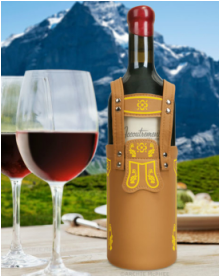 The Russian wine – a 2012 Saperavi from the Fanagoria vineyards on Russia’s Black Sea coast retails at £16.80 per bottle. (In addition the above stores that are introducing consumers to wines from new geographies and varieties, recent arrivals to London’s wine scene include retailers which specialise in wines from a particular country or region. 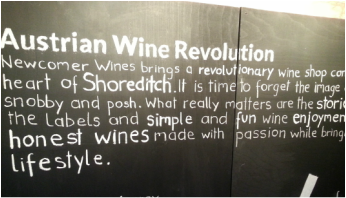 Notable examples include Shoreditch-based Newcomer Wines (http://newcomerwines.com) and The New Zealand Wine Cellar, whose store is located in Brixton (http://thenewzealandcellar.co.uk). Launched in 2015, Newcomer Wines focuses on artisan wine producers from Austria and showcases major Austrian varieties such as Grüner Veltliner, Zweigelt and Blaufränkisch. 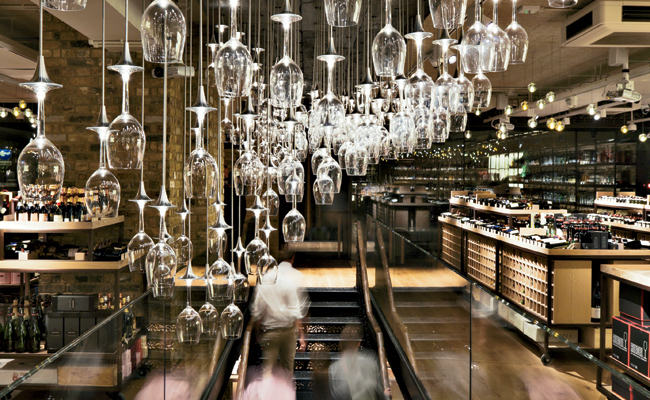 Meanwhile, The New Zealand Wine Cellar, which also opened in 2015, focuses exclusively on boutique wines from New Zealand and aims to showcase the country’s regional and varietal diversity. 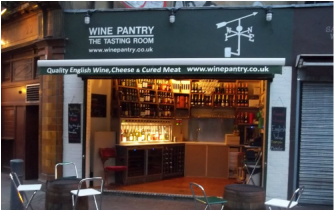 ​Another regional specialist, the Borough Market-based Wine Pantry (www.winepantry.co.uk), was launched in 2011 with the goal of championing still and sparkling wines from England, Cornwall and Wales. Finally, the Drake Vine also recommends Li Veli Winery & Bistro, a wine bar/eatery (together with an extensive wine shop), in Covent Garden (www.liveli.co.uk). Li Veli specialises in the wine and cuisine of Puglia in Southern Italy; its selection includes wines made from traditional Puglia varieties, Negroamaro and Primitivo, as well as wines from other Italian regions. ﻿However, it’s not only new specialist stores and wine bars that are contributing to the new enthusiasm and appreciation for wine. Many of the long established retailers continue to respond to, and feed, the growing interest in wine, along with consumers’ desire to experiment with new varieties and new wine regions. ﻿Marks & Spencer (www.marksandspencer.com) for example, continues to broaden the range of countries and regions included in its selection of wines. In the past few months M&S has added wines from Mexico, Oregon in the U.S. and Canada’s Okanagan Valley to a range that now includes a substantial number of new wines from Eastern Europe (Macedonia, Slovenia, Croatia and Georgia), as well as wines from Greece, Turkey, Lebanon, Israel, India, Brazil and Japan. The Shiraz/Petit Sirah/Carignan red blend from Israel’s Judean Hills and the Smederevka/Rkaciteli white blend from Macedonia are both highly recommended. By now, the trend among Londoners (and UK consumers generally) to buy wine for drinking at home is well established. However, in terms of where and how to buy wine it seems that more choices than ever are available. 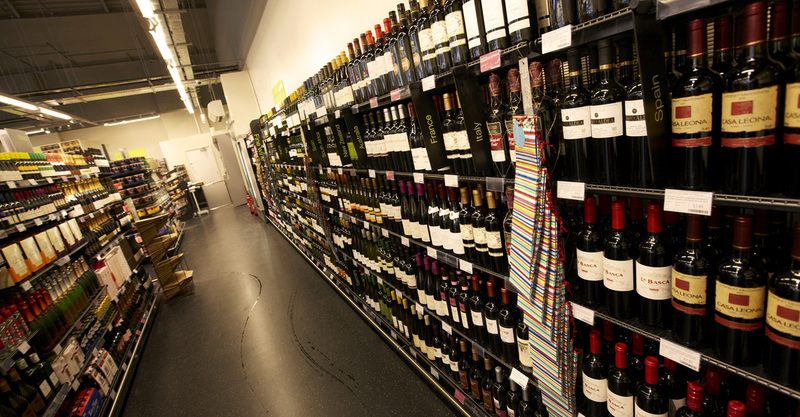 These include buying online to sampling wine in-store prior to purchase. Meanwhile, the geographical breadth of wines that retailers now offer – together with the emergence of stores and bars/bistros that specialise in wines from particular countries and regions – points to a consumer trend to engage with wine as a cultural experience that often complements travel or an interest in travel and experiencing other cultures. So, 2016 looks set to be another exciting year for the London and UK wine market. From Smederevka to Seperavi and from Mexico to Moldova, take some time to explore some of the wine scene's latest hotspots and experience some of the diverse wines that are now appearing. Despite its small size (with a total vineyard area which is barely the size of Bordeaux’s) New Zealand wine has been taking the world by storm. Not in the manner of the hordes of Mordor, which no doubt trampled all over New Zealand’s vineyards during the filming of the Lord of the Rings trilogy. Instead, New Zealand wine has been rapidly expanding its share of international export markets with a focus on selling high-quality and expressive wines to major wine-consuming countries such as Australia, the UK, the USA and Canada. In addition to successfully competing against heavyweight new world producers from Australia, California, Chile and Argentina, New Zealand has been shaping international tastes, particularly through the production and successful promotion of Sauvignon Blanc. This white wizard of the New Zealand winery has worked its magic on international taste buds, helping to establish consumer expectations for this particular variety. New Zealand Sav Blanc has become internationally recognised for combining the best of both new world and old world varietal characteristics. New world characteristics include exotic fruit aromas while old world characteristics include the pungency and limy acidity which are often associated with Loire Valley wines. So successful has New Zealand Sauvignon Blanc been among international consumers, that demand-fueled production has resulted in Sauvignon Blanc accounting for around half of all vineyard plantings in the country, up from twenty-eight percent in 2003. Nowhere has the spread of Sauvignon Blanc been more notable than in Marlborough, which accounts for around sixty percent of New Zealand's entire vineyard area. There, on New Zealand's South Island, Sauvignon Blanc represents three quarters of the entire crop. First planted in Marlborough in 1973, Sauvignon Blanc is now also produced in other regions, including Canterbury on the South Island and Martinborough, Gisborne and Hawkes Bay on the North Island . Sauvignon Blanc is popular at home too and New Zealand's rugby team, the All Blacks, have been known to fuel-up on the stuff prior to doing their legendary Haka war dance. Such is the dominance of this king of vines and its importance to New Zealand's international wine exports, that some producers are concerned that one grape variety could end up governing the fate of the entire industry. The concern is that the perception of what New Zealand Sav Blanc is about becomes so embedded in the minds of consumers that the market suffers when tastes change. Another concern is that deflationary pressures on the price of even the best-quality wines could emerge if the market perceives New Zealand Sav Blanc to be all the same. As a result, the New Zealand wine industry is increasingly trying to promote an awareness of the stylistic variations of Sav Blanc between and even within different regions. Of course, New Zealand wine isn't all about Sauvignon Blanc. Chardonnay, New Zealand’s second-most planted variety, is used to produce wines in a range of styles including sparkling wines. Other white New Zealand wines that are seeing increasing production include Pinot Gris, which has risen dramatically in recent years to overtake Riesling in terms of the volume of plantings (see the Growing and Making sections of the website for more information). Meanwhile, the champion of New Zealand red wines has to be Pinot Noir, New Zealand's very own Dark Lord. Like Sauvignon Blanc, New Zealand Pinot Noir has been critically acclaimed worldwide and wines from the South Island's Central Otago region are internationally considered to be some of the world's best Pinots. Other red grape varieties with significant plantings include Merlot, which is often blended with Cabernet Sauvignon to make Bordeaux-style blends. As the New Zealand wine industry continues to expand and evolve, it is likely to see more promotion of minority varietals such as Pinot Gris, Gewürztraminer and Syrah, as well as a growing emphasis on new export markets, including China and Singapore where consumption of international wines is growing. It's probably fair to say that, if current demand trends continue, it's only a matter of time before New Zealand Sauvignon Blanc and other varieties are drunk all over Middle Earth. For more information on the wines and grape varieties of New Zealand have a look at the the Growing and Making sections of the website. And there ends the last update of the Drake Vine for 2013. I hope you've enjoyed this introductory journey through the world of wine. The Drake Vine will return in 2014. There are few people who haven’t tried an Australian wine, or who couldn't name an Aussie wine brand. The Australian wine industry is one of the world’s largest and, thanks to the successful promotion of “big brands" such as Jacob’s Creek, Yellow Tail, Rosemount and Wolf Blass, Australian wine has developed an extensive international reach and reputation. Australians themselves drink enough of the stuff, with over 530 million litres consumed domestically each year (that’s around 30 litres per person). But it’s the country’s wine exports that have been the real success story and which offer the biggest opportunity for future expansion. Between 1991 and 2007, production more than trebled in size while the value of exports grew from $212 million to $3 billion. Australia is now the world’s fourth-largest exporter of wine, after France, Italy and Spain. China is fast becoming one of the most important markets for Aussie wine and, since 2007, wine exports to China have grown by 333%. Despite this, exports to China still account for just 6% of the total and by far the largest importers of Australian wine continue to be the UK and the USA. Rising demand from China and other markets presents a huge opportunity for Australian producers. However, there’s work to do if the country wants to continue holding its own against new world rivals such as New Zealand, Chile, Argentina and South Africa, and against resurgent and increasingly inventive old world wine producers. Growing international competition is just one of several headaches which have recently dogged wine producers from down under. Three bumper harvests between 2004 and 2006 led to a massive market oversupply. From 2007 the industry was also affected by changing economic conditions, with a strong Aussie dollar weakening the value of export returns and with lower retail prices further squeezing profit margins. Facing a tougher international market, Australian wine producers are pinning their future hopes on several developments. The recent weakening of the Aussie dollar offers a potential opportunity for the industry to rebuild and increase its international competitiveness. At the same time, producers and exporters hope to capitalise on China’s proposed plan to initiate an anti-dumping probe into European wine imports. However, the development with biggest potential for far-reaching success centres on current industry efforts to redefine what the industry and its wine ‘stand for’. Specifically, there is a growing concern about how Australia can shake-off its association among international wine consumers with mass-produced overly-oaked Chardonnay and jammy Shiraz. Increasingly, it’s recognised that, although there’s still a place for the big brand bulk wines, changing consumer tastes have resulted in growing demand for wines made from alternative grape varieties, as well as new innovative blends and wine styles. And as consumer appreciation and experience of wine evolves, it’s no longer enough simply to drink wine from a particular place; consumers also want to enjoy the drinking experience and to understand more about where the wine comes from and how it’s made. New marketing initiatives are now underway which are aimed at encouraging consumers in established markets such as the UK to explore premium Australian brands, while also maintaining sales of the high-volume brands. Although a small number of major conglomerates are responsible for a large share of total production, there are many hundreds of smaller wineries specialising in “boutique” production. Many of these smaller producers are highly innovative in their exploitation of new styles and varieties. Australia's most widely-produced grape varieties are Shiraz, Cabernet Sauvignon, Merlot and Pinot Noir (for reds) and Chardonnay, Semillon, Riesling and Sauvignon Blanc (for whites). However, around 90 different varieties are commercially planted and these include Spanish and Italian varieties alongside the traditional French ones. For more information on the styles of Australian wine produced, and for a special focus on Shiraz and Semillon, see the Making, Drinking and Pairing sections of the Drake Vine website). 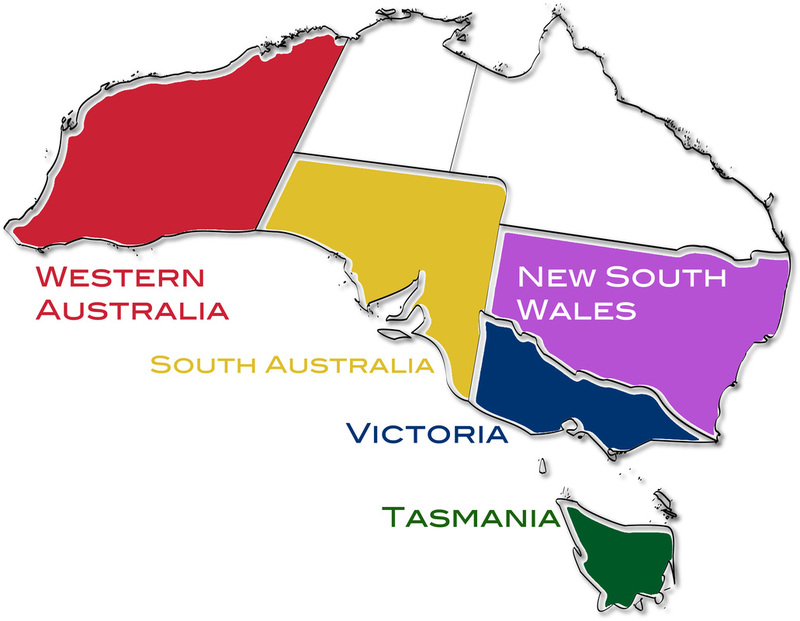 Although wine is produced in all of Australia's states and territories, most of the country’s wine producing regions are in cooler southern regions – especially South Australia, Victoria, New South Wales, Tasmania and southern parts of Western Australia. Much of the country’s bulk wine comes from grapes grown in the warm climate Murray-Daring basin (see the Growing section of the website for more info on the main wine producing regions). The reinvention of Australia's image as a wine exporter, and its efforts to market a broader range of wines to international consumers, will shape the next phase of the country's evolution as an international wine heavyweight. Oh, and for more about "Chateau Chunder" watch the video above! I'm writing this week's update while drinking a Washington state Spätlese ("late harvest") Riesling. According to wine expert Jancis Robinson, Washington State is busy styling itself as a Riesling specialist. Thanks to a longstanding cooperation between Washington's largest wine company, Chateau Ste. Michelle, and Erni Loosen of Germany's Mosel Valley, interest in Riesling and plantings of the grape have grown enormously over the past ten years. Although Chardonnay is still more widely grown, Washington now joins Germany's Rheingau and Australia as organisers of a triennial international Riesling event. For many people, the Pacific Northwest states of Washington and Oregon conjure up images of rain, pine forests, raccoons, Starbucks, the Killing (AMC version), more rain and repeat episodes of Frazier. Most people have never heard of a Washingtonian Riesling or an Oregonian Pinot Noir, let alone tried one. And yet these north-western US states have an interesting and varied wine scene and a winemaking tradition which stretches back to the mid-1800s when Italian and German settlers planted the first vines for grape cultivation. Although the Prohibition years at the start of the 20th century destroyed the region’s early wine industry, the establishment of new vineyards by Californian producers in the 1960s spearheaded a revival in wine production which has continued to the present day. Washington and Oregon are respectively the second and third-largest wine producing states in the US, although total wine production is a fraction of California’s. Washington produces a full range of wine styles and varieties, from bulk to premium-priced boutique wines. The main grapes used in wine production are Cabernet Sauvignon, Riesling, Chardonnay, Merlot and Syrah, although 80 different varieties are grown in the state. Although Washington’s winemakers used to focus mostly on white wines, the state was hit by the “Merlot craze” which swept America in the 1990s. Some commentators suggest it was a Californian winery called Duckhorn which first started the Merlot craze back in 1978, igniting a fire which raged through the 1990s before finally being extinguished by the 2004 movie Sideways. In Washington, the Merlot craze led to a growing interest in red wine in general. This coincided with the increased production of the "two Cabs" (Cabernet Sauvignon and Cabernet Franc), which are more frost-resistant than Merlot, as well as Bordeaux blends, which involve combining Merlot with the two Cabs and other varieties such as Malbec and Petit Verdot. The past few years have also seen a growing enthusiasm among Washington winemakers for Syrah. Washington winemakers have retained their enthusiasm for white grape varieties too, and in addition to Riesling and Chardonnay, increasingly popular white wine varieties include Sauvignon Blanc, Gewürztraminer and Viognier. Across the border in neighbouring Oregon, the star of the wine industry is Pinot Noir. Oregon is widely regarded as one of the world’s premier Pinot-producing regions and wines from the Willamette Valley frequently take the top prize in international contests. In Oregon, there are almost seven times more plantings of Pinot Noir than the state’s second most widely-planted grape variety, Pinot Gris. Sometimes described as Oregon’s “other Pinot”, Pinot Gris (also known as Pinot Grigio) is believed to originate in Burgundy and used to be nicknamed “grey monk” because of its greyish colour and its early cultivation by Cistercian monks. These days, Pinot Gris is more commonly associated with Alsace, where is it known as one the “noble grapes of Alsace” along with Riesling, Gewürztraminer and Muscat. The colours and styles of Pinot Gris vary considerably. Italian Pinot Grigio tends to be light (in body and colour), crisp and relatively high in acidity, while Alsatian Pinot Gris is usually a deeper lemon colour, more full-bodied and with floral aromas. In Oregon, Pinot Gris tends to be medium-bodied with a lemon to copper-pink appearance and aromas of pear, apple, and/or melon (see Drinking section of the website for more information). This week the Drinking and Pairing sections of the website have been updated to focus on Pinot Gris/ Pinot Grigio and Merlot. Meanwhile, the Growing and Making sections of the website cover the grapes, wines and wine production regions of Washington and Oregon in more detail. 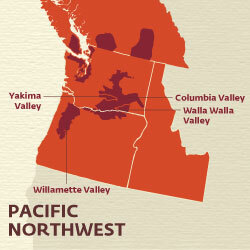 There's a lot of exciting stuff happening in the wine industries of the Pacific northwest. So move over Starbucks. Washington and Oregon are now building their reputations on Riesling, Pinot Noir and Pinot Gris. Oh, and by the way, the rain is good for the grapes! Canada - Canadian Wine? Eh!? Over the past couple of weeks, the Drake Vine has been in Canada where it has battled bears, racoons and rattlesnakes in order to discover the secrets of Canadian wine. 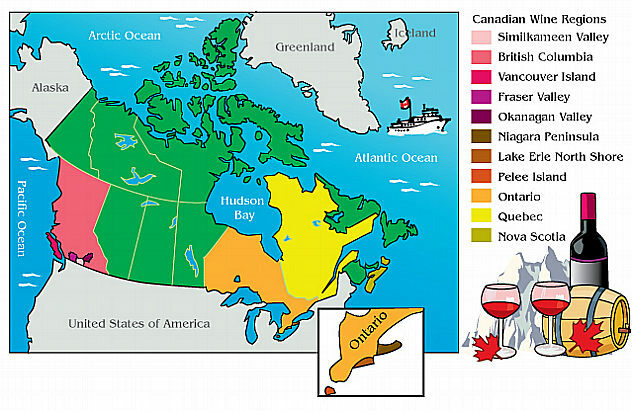 Mention Canadian wine to most non-Canadians and you’re likely to receive a surprised expression and a raised eyebrow. Canada? Wine? How can a country with sub-zero winter temperatures, famous for ice hockey, moose, bears and beaver hats produce wine? It does though, and in a recent trip to the Okanagan Valley in British Columbia (BC), Canada’s second-largest wine producing region, the Drake Vine discovered that Canada’s wine industry is both diverse and increasingly dynamic. True, the industry is still small by global standards – Canada has just 11,000 hectares under vine, compared with New Zealand’s 34,000 hectares. However, Canadian winemakers are experimenting successfully with an impressive number of grape varieties, including the classic Bordeaux varieties (Cabernet Sauvignon and Merlot) and those of Burgundy (Chardonnay, Pinot Noir and Gamay), Alsace (Pinot Gris, Pinot Blanc, Riesling and Gewürztraminer), the Loire (Sauvignon Blanc and Cabernet Franc) and the Rhone (Viognier and Syrah). Canadians are also making impressive wines from less well-known French and German varieties (Madeleine Angevine, Siegerrebe, Kerner, Ortega and Bacchus), as well Austrian grapes (Zweigelt and Blaufränkisch) and hybrids such as Vidal Blanc, Baco Noir and Maréchal Foch. In Quebec, a range of grape varieties are cultivated which are not commonly found elsewhere, and which can withstand winter temperatures of minus 35 degrees (has anyone ever heard of an Elmer Swenson 517?). And in BC’s Okanagan Valley, there are even winemakers experimenting with South Africa’s Pinotage grape. Unlike some countries, where the industry has promoted a signature grape variety to establish a unique selling point in international markets, many Canadian winemakers are keen to explore the impact of local climate and “terrior” on a range of grape varieties. And despite the ice hockey and igloo stereotypes, it’s wrong to generalise about Canada’s climate. It’s true that in Quebec and Ontario, grape varieties are selected and cultivation techniques adopted with minus 35 degrees winter temperatures in mind. However, parts of BC and Nova Scotia, maritime influences help to moderate winter temperatures which, together with warm summers, result in climates that are suitable for grape cultivation. The same is true of parts of Ontario located close to the Great Lakes. 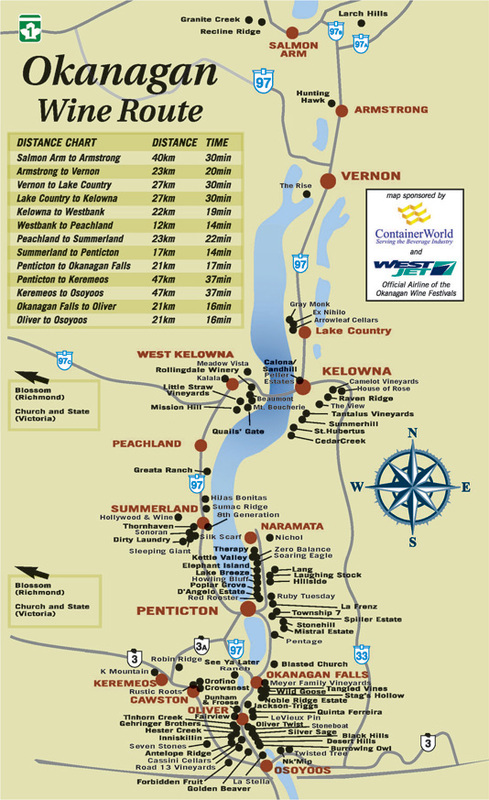 Meanwhile, in BC’s Okanagan region, a continental climate, together with the rain shadow created by the Cascade Mountains, contributes to hot, dry and even arid conditions. In this sun-soaked valley, renowned for its peaches and beaches, the Drake Vine discovered rattlesnakes which had also heard about the growing excitement surrounding Canadian wine. The Drake Vine also discovered powerful red blends, full-bodies buttery Chardonnays, exotic and aromatic Gewürztraminers, international award-winning sparkling wines and even Pinotage ice wine. This week, the Drinking and Pairing sections of the Drake Vine focus on Gewürztraminer. Originally from France's Alsace region (which accounts for a lion's share of total global plantings of the grape) Gewürztraminer appears to be particularly well-suited to several Canadian winemaking regions, including the Okanagan. The Drinking and Pairing sections of the website also profile Vidal Blanc, a hybrid grape variety which was invented in the 1930s, and which is used to make ice wine. Ice wine is one of Canada's best known wines, and one which accounts for a major share of the country's exports. It's made from grapes that are picked when frozen while still on the vine. But Canadian wine is about so much more than just ice wine. To find out why, the Drake Vine encourages every reader to head to BC's Okanagan Valley at the first opportunity. In the meantime, read the Growing, Making, Drinking and Pairing sections of this website. Although wine is produced in several American states, California is by far the largest producer, responsible for almost 90% of the country’s total output. The industry is one of contrasts and extremes, and some suggest it is possible to find winemakers experimenting with just about every known grape in one form or another. From boutique wineries to large conglomerates, and from mass-produced “jug wines” to highly-priced international award-winners, you can find them all here in the golden state. California’s wine industry has come a long way since the 1920s when the US government used Prohibition laws to force sobriety on its citizens. 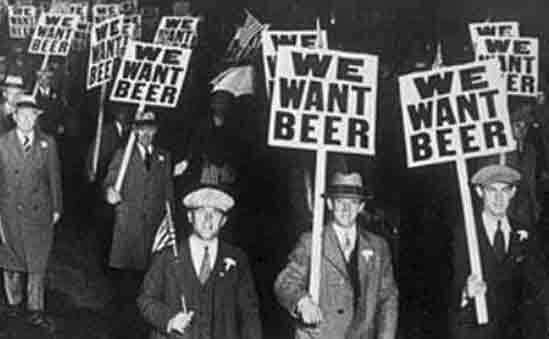 Even then however, one wonders just how drinkable much of the wine really was, as it seems that many of those protesting against Prohibition were really fighting for the right to drink beer. It was in the 1960s that the renaissance began, with a new wave of winemakers pioneering new techniques and focusing on quality wine production. By the 1970s Californian wines were shocking the world by beating the best wines of Burgundy and Bordeaux in international blind-tasting contests. Until the 1980s, the Californian wine scene was dominated by Chardonnay and Bordeaux varieties such as Cabernet Sauvignon (Cab Sav) and Merlot. Not all of it was prize-worthy however, and overindulgence in these 1980s wines of choice led to popular backlash with the rise of the Anything But Chardonnay (ABC) club and reactions similar to that Miles Raymond in the 2004 film Sideways when confronted with the awful possibility of being served Merlot. As American wine-drinkers developed more sophisticated tastes (and grew ever more bored with Chardonnay and Merlot), new wine pioneers such as the Rhône Rangers and Cal-Ital movement refreshed the industry with wines made from alternative grapes such as Syrah, Viognier, Sangiovese and Pinot Grigio. This experimentation has continued and, in recent years, some winemakers have started reviving varieties such as Trousseau Gris, once widely grown in California under the name Gray Riesling, and Valdiguié, a red wine grape grown primarily in France's Languedoc-Roussillon region, which, in California, has sometimes gone by the name of Napa Gamay. Although most Californian wine is produced in new world styles with ripe, fruit-forward flavours which benefit from the reliably warm weather, some winemakers are experimenting with “Old World” or European styles which are more earthy and mineralic. For example, although Californian Pinot Noir has traditionally been dominated by ripe, full-bodied wines, there has, more recently, been a move towards planting Pinot Noir on cooler sites and on applying winemaking techniques used in Burgundy to produce lighter, less heady wines with more finesse. Cab Sav is California’s most widely-planted red grape and is used to make both inexpensive wines and premium versions – especially in prime sites in the Napa Valley. However, it is Zinfandel which claims the title of being California’s “own” grape variety. Known as Primitivo in Italy, Zinfandel is used to make both full-bodied, jammy red wines and White Zinfandel, an off-dry to sweet, pink-coloured blush. White Zinfandel is a generally an inexpensive quaffing wine, which is sweet, soft, and often low in alcohol, making it a popular choice with those who would not otherwise drink wine (see Drinking and Pairing sections of the website for more info). With so much going on, it's hard not to get excited about Californian wine. There's certainly no time to Napa. Look out for the next update of the Drake Vine which will be reporting direct from the vineyards of Canada. The heat wave in London over the past few weeks has had me reaching, on more than one occasion, for a glass of Chilean Sav Blanc (that’s Sauvignon Blanc if you’re unfamiliar with the lingo). Sav Blanc from the Casablanca region is just one of the big wine success stories from Chile’s wine industry, having contributed to its rising star status in the international markets. Sav Blanc grapes were brought to Chile in the 19th century along with several other, mainly French, grape varieties. 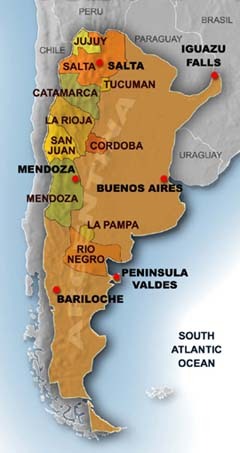 However, these grapes and the wines they produce have developed their own unique characteristics in Chile, thanks to the specificities of the country’s geography and “terroir”. Key influences include the Pacific Ocean and the coastal and Andes Mountains – the latter two forming the natural “walls” of Chile’s Central Valley, the largest of the country’s wine regions. Both the mountains and the ocean have played an important role in shaping the history and fortunes of Chilean wine. The Andes provided a crucial source of irrigation for the first vineyards, which were planted by Jesuit priests in the 16th century with grapes brought from the established Spanish vineyards in Peru. Later in the 19th century, the mountains, which isolate Chile geographically, helped protect the country’s vineyards from the Phylloxera louse which laid waste to most of the world’s other the wine regions. Meanwhile, the Pacific Ocean has been both a help and a hindrance to Chilean wine. On the one hand, cooling Pacific breezes help Chile’s winemakers produce successful Sav Blancs, Chardonnays and Pinot Noirs in vineyards close to the coast. On the other hand, it was Spanish and English control over early ocean shipping routes which almost eliminated Chile’s wine industry in the 16th century. During Spanish rule in South America, Spain banned wine imports from Chile and Peru, while both countries were forced to import wine from Spain. Some readers of the Drake Vine will remember that Sir Francis Drake, a famous ancestor of the Drake Vine, had a penchant for wine, having previous raided Spanish ports for their wine stocks. In 1578 Drake intercepted a shipment of Chilean wine destined for Peru (I’m not sure what it was, but my bet is on wine made from País, one of the oldest grapes to be cultivated in Chile and still the second most planted variety in the country). On hearing the news of Drake’s wine haul, the Spanish reportedly ordered Chile to uproot most of their vineyards. Fortunately for Chilean Sav Blanc enthusiasts this edict was ignored. Although Chile is the ninth largest producer of wines, it is the fifth-largest exporter. The wine industry has grown, thanks largely to the production of low- to mid-priced wines, many of which originate in Chile’s Central Valley. Chile's recent winemaking revolution has been enabled partly by a massive increase in foreign investment and by the arrival of new winemaking talent and technology. Relatively new techniques, now widely used, include the use of stainless steel tanks and oak barrels for wine maturation. Alongside the low- to mid-priced wines, Chilean winemakers are also producing premium wines, especially Cab Savs (Cabernet Sauvignon). Chile has also discovered a point of difference in the production and export of Carménère, a grape which is originally from France’s Bordeaux region and which appears to have been brought to Chile by accident, mixed with a bunch of Merlot cuttings. Carménère gets its name from the French word for crimson (“carmin”) which refers to the brilliant crimson colour of the vine’s autumn foliage prior to leaf-fall. This week’s Drinking and Pairing sections of the Drake Vine focus on the characteristics of, and best foods to pair with, Carménère, one of the classic “Bordeaux six” red grape varieties. The Growing and Making sections of the website explore the country's main wine production regions, grape varieties and wine styles (remember to scroll to the top of the page and click on the links). The Drake Vine will be back in two weeks time, with a trip back to the northern hemisphere to look at the wines of the USA. Argentina is yet another New World wine producer whose winemaking history is older than some European countries. The Spanish are thought to have established the country’s first vineyards in the 1550s – cuttings brought from Chile by missionaries were planted in what are now Argentina’s Mendoza and San Juan regions. Early wine production in Argentina was an isolated affair. For around 300 years wine made in the west of the country, in the foothills of the Andes Mountains, had to be transported by wagon to major population centers such as Buenos Aries in the east. All that changed in the 1880s when the completion of railroads to Mendoza helped connect Argentina’s winemakers to Buenos Aries and the international markets. Unfortunately however, it appears that nobody was producing anything worth buying. The arrival of large numbers of European immigrants with winemaking skills in the late 19th and early 20th centuries helped to turn Argentina into the world’s largest wine producing nation outside of Europe. However much of the wine produced in Argentina was of mediocre quality and most of it went to supply a domestic market with a seemingly insatiable appetite for cheap vino de mesa. However, the 1990s saw a revolution within Argentina’s wine industry. The industry benefited from a new wave of foreign investment, an increasingly aggressive export policy and a growing emphasis on quality and the application of new winemaking techniques. Today Argentina is the world’s fifth-largest wine producer and, increasingly, the wine industry is capturing a growing share of international exports. This transformation of fortunes for Argentina’s wine industry has been described in Ian Mount’s book, The Vineyard at the End of the World. In it, he tells the story of how wines which once had a reputation for being highly unpalatable experienced a dramatic turnaround to the extent that, in 2001, a Cabernet Sauvignon-Malbec blend beat all of its contenders in a blind tasting contest, which included top wines from Bordeaux and California’s Napa Valley. Of all of Argentina’s wines, it is Malbec that has most established the country’s credibility in the international wine market place. Originally brought to Argentina from France, Malbec has become Argentina’s signature variety and many people now know nothing of the grape’s French origins. Although some Argentinean producers blend Malbec with other varieties such as Cabernet Sauvignon and Merlot (see Making section of the website for more information) standalone Malbecs continue to capture and attention and wallets of international consumers. Experimentation with the production of Malbec using higher altitudes and advanced winemaking techniques has helped to elevate the status of this grape. This week’s Drinking and Pairing sections of the Drake Vine explore the key characteristics and perfect food pairing partners of Malbec and Argentina’s signature white grape variety Torrontés. A perfect picnic wine – or as an ideal accompaniment to the Wimbledon final – some of the best Torrontés is produced in Argentina’s northern Cafayate region, home to the world’s highest vineyards. Remember to scroll to the top of the page and click on the Growing, Making, Pairing and Drinking tabs for more information on the grapes and wines of Argentina. I’ve always been a bit puzzled by distinctions between “old world” and “new world" wine producers. Although South Africa’s wine industry is usually categorised as “new world”, its history dates back to 1659 when Dutch settlers in Cape Town planted the country’s first vineyards. South African winemaking started when the Dutch East India Company established a supply station for ships travelling between the Netherlands and the Dutch East Indies (present day Indonesia). The first harvest took place in 1679 and, in 1685, Cape governor Simon van der Stel established a large wine estate in Constantia, just outside Cape Town. By the late 1700s, Constantia had become internationally famous thanks to vin de Constance, made from a blend mostly of Muscat de Frontignan (Muscat Blanc à Petits Grains), Pontac, red and white Muscadel and Chenin Blanc (known locally as Steen). In addition to becoming a popular drink among European kings and emperors – including Napoleon Bonaparte who reportedly lived on the drink during his forced exile on St Helena – Vin de Constance was immortalised by authors such as Charles Dickens and Jane Austin. In Jane Austin's Sense and Sensibility, Mrs Jennings recommends Vin de Constance as the “cure for a broken heart”. 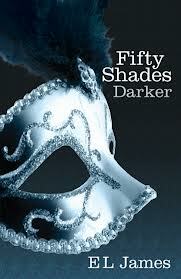 More recently in the novel 50 Shades Darker, the follow-up to 50 Shades of Grey, the famous Klein Constantia dessert wine is served at an extravagant masked ball, along with a third course of sugar-crusted walnut chiffon candied figs. Until late in the nineteenth century, around 90% of South African wines were made from Semillon. This wine was called "Madeira wine". Wine was also made from varieties such as Muscat of Alexandria (known locally as Hanepoot) and Chenin Blanc. However, by the late nineteenth century the sweet wines of Constantia were declining in popularity, driven partly by a growing consumer preference for drier wines. From its origins in Constantia, South African grape cultivation and winemaking spread inland while the wine industry periodically benefited from exports to international markets. During the Seven Years' War (1756 - 1763) and the American War of Independence (1775 - 1783) shipping to and around the Cape increased substantially. This contributed to rising demand for Cape wines. 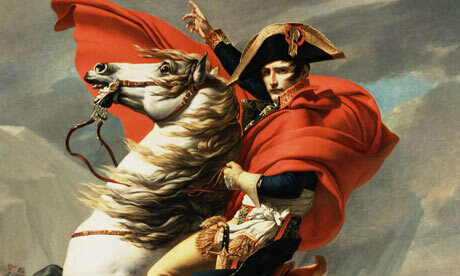 Strong demand for Cape wines developed in Britain after 1825 when Napoleon blockaded ports on the European mainland. These boom periods helped make South African wine farmers wealthy, enabling them to increase their land and build the impressive Dutch homesteads which are common throughout the Cape winelands. However, the nineteenth century saw the industry face new threats, including economic depression in the 1860s, the loss of the vital British export market and the devastating Phylloxera outbreak of the 1880s. Although the South African government established the Koöperatieve Wijnbouwers Vereniging van Zuid-Afrika Bpkt (KWV) cooperative in 1918 to manage the impact of market vagaries, South Africa’s wine industry suffered from isolation for much of the 20th century. This isolation was exacerbated by the Apartied-related international boycotts from the 1970s to the 1990s. Since the 1990s however, South Africa’s wine industry has experienced a rennaisance, having benefited from both investment and access to international markets. The industry has become characterised by considerable innovation and widespread experimentation in both winemaking processes and styles. South African winemakers have also sought to establish “points of difference” in international markets, capitalising on the production and marketing of signature grape varieties such as Chenin Blanc (South Africa’s most widely-planted white grape) and Pinotage, a red grape which was first created in South Africa in 1925. A South African national invention, Pinotage was born out of a cross between Pinot Noir and Cinsault grapes (the latter being known in South Africa at the time as Hermitage). Although global Pinotage production remains largely confined to South Africa, although there have been some plantings of the grape outside the country, notably in Brazil, Canada, Israel, New Zealand, the US and Zimbabwe. South Africa produces a wide diversity of wines of varied styles. Of these, only a small fraction makes it into international markets. In addition to dry still wines, South Africa has a well-established tradition for making fortified and sparkling wines, as well as sweet wines and brandy (see Making section of the website for more information). In addition to exploring the grapes, wines and wine-producing regions of South Africa, this week’s update of the Drake Vine introduces the main characteristics of two grapes, Pinotage and Muscat. While Pinotage has gained a reputation as the red wine to bring to a barbeque, the latter grape Muscat is responsible for a wide range of dessert wines, including Vin de Constance (see the Drinking and Pairing sections of the website for more info). I hope you enjoy this week's update. Remember to scroll up to the very top of the page and click on the Growing, Making, Drinking and Pairing tabs to visit the other sections of this website - they contain a lot more information about South African wine and the other countries already covered by the Drake Vine. Next week we're staying within the southern hemisphere and off to another "new world" wine country. Just a quick note to say that the next update of the Drake Vine will be published on Saturday 6 July. We'll be looking at the wines and wine production regions of South Africa, as well as the dessert wine Vin de Constance and South Africa's signature grape variety Pinotage. In one of many tense moments during the 1991 American thriller, The Silence of the Lambs, Hannibal Lecter (played by Anthony Hopkins) tells Clarice Starling (Jodie Foster) the story of how he ate the liver of an unwitting census officer, together with fava beans and a glass of Chianti. With their firm acidity and grippy tannins, Italian wine is said to produce some of the world’s most food-friendly wines, which are capable of coping with the sharp tomato sauces and rich charcuterie that characterise Italian cuisine. Although not necessarily a bad food pairing, the Drake Vine would recommend pairing pan-fried liver, not with Chianti, but with a Nebbiolo-based Barolo (see Pairing section of the website). As always, it depends on the style of the wine. Italian wine is the stuff of myths and legends (as well as the occasional horror story). 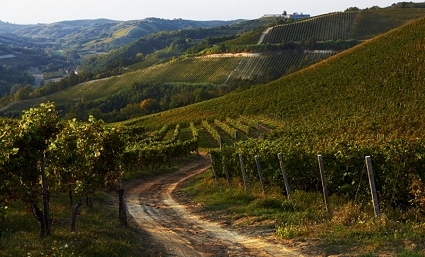 Sometimes described as the “Jurassic Park of viticulture”, Italy’s grape varieties are among the oldest in existence. 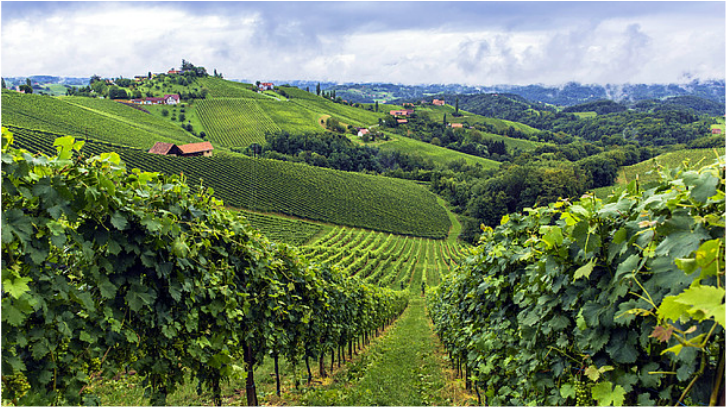 Winemaking is believed to been prevalent in Italy as early as 800 BC, brought to the region by early Greek settlers. In addition to introducing grapes such as Aglianico, the Greeks gave Italy the name Oenotria (“Land of the Vine”). According to legend, the iconic Sangiovese, which is Italy’s most widely-planted grape variety - accounting for 10% of all vineyard plantings - was named after Jove or Jupiter, the king of the Roman gods. Sangiovese (sanguis Jovis) literally means “blood of Jove”, a reference to the colour of the wine made by the Romans from Sangiovese grapes. Although Sangiovese was cultivated in Italy for centuries, it was not until the 18th century that it became one of the most widely planted grapes in Tuscany. In the wines of Chianti, Brunello di Montalcino and Vino Nobile di Montepulciano (see Making section of website), Sangiovese grew in popularity during the 19th and early 20th centuries. Today, Chianti wines are among Italy’s most widely-exported, a statistic which hides the huge variations of quality that exist among Chianti wines. Together with France, Italy is the world’s largest producer of wine, having more than one million vineyards under cultivation. However, this has been both a blessing and a curse, with the widespread availability of relatively cheap, mass-produced wines having contributed to a negative perception of Italian wine in international markets (how many of us have experienced disappointment in the presence of watery Italian white or an excessively acidic red?). In contrast to these negative experiences, the variety and quality of wines produced in Italy is truly extensive. However, many of the best wines don't even make it out of the country. This week I’ve updated the various pages of the Drake Vine to look at the grapes, wines and wine-producing regions of Italy. 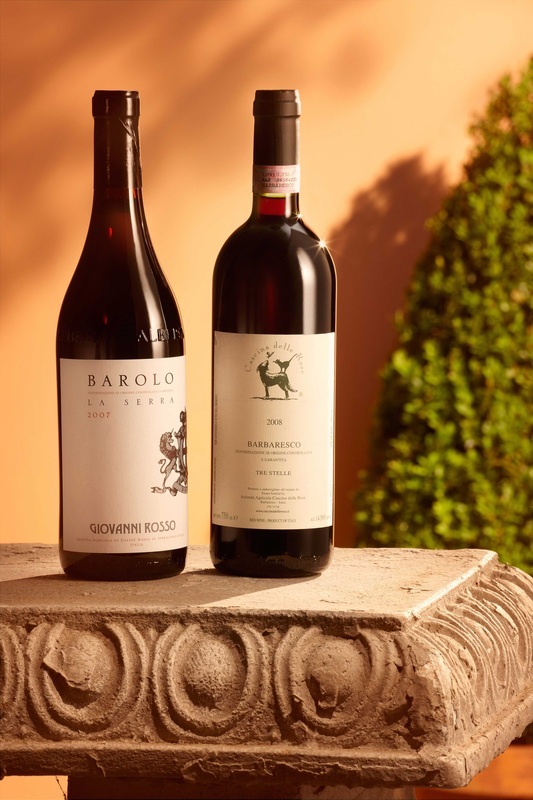 The Drinking and Pairing sections of the website put Sangiovese and Nebbiolo in the spotlight. Meanwhile, the Growing section of the website explores key production regions such as Piedmont and Veneto in northern Italy, Tuscany in central Italy and Puglia and Sicily in the south. Although hundreds of different grape varieties are grown across Italy, a handful of varieties stand out as being popular and/or commercially significant. These include the white grapes such as Pinot Grigio, Cortese and Garganega (the latter two being respectively used to produce Gavi and Soave) and red grapes such as Sangiovese, Nebbiolo and Corvina (respectively used to make Chianti, Barolo and Valpolicella). In recent years, grapes from southern Italy such as Puglia's Primitivo and Sicily's Nero d'Avola have also been gaining popularity and commercial reputation. I hope you enjoy this week's trek through Italy. Next week we're leaving the so-called "Old World" wine regions of Europe and heading to the first of the "New World" regions, South Africa. When asked to name a Portuguese wine too many people still automatically think of port. 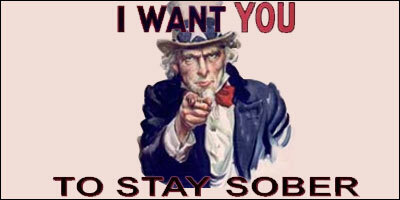 Port-drinking became popular in England during the 18th century wars with France. Because war deprived the English of access to French wine, fortifying Portuguese wine became the only way of ensuring it would survive the longer shipping journey to England. It was through this fortification process that port was created. No longer a wartime tipple, these days the English are more likely to see port as a popular last minute Christmas gift, to be ordered online along with slabs of stilton cheese. However, Portuguese wine is about much more than port. Although Portugal has produced dry red and white wines for centuries, it is only recently that the country’s intenational reputation for dry wines has started to eclipse that of port. Portugal is currently benefiting from a modernisation program which has encouraged the adoption of modern grape cultivation and winemaking techniques – including gentle crushing, stalk removal and temperature control. Portugal’s “Viticultural Strategy for the Future” is also overseeing the reorganisation of thousands of tiny vineyards into larger estates and Quintas (boutique wineries). In addition to making Portugal’s wine industry less labour intensive, these reforms are enabling winemakers to produce sustainable quantities of quality wines. Since joining the European Union in 1986, Portugal’s wine industry has also benefited from substantial foreign investment, especially from the EU but also from private investors. One of these investors, the English performer Cliff Richard (pictured), inadvertently became a winemaker after setting out on a summer holiday to the Algarve in southern Portugal. While there, he bought a 28-acre Quinta and later began producing award-winning wines under the Vida Nova, “new life” label. Portugal has developed a reputation for making wines made from indigenous grape varieties, and the country has largely resisted the trend elsewhere to replace local varieties with international ones such as Cabernet Sauvignon and Chardonnay. The poster child of Portuguese wine, Touriga Nacional, continues to be one of the main grapes used in the production of port. However, in some regions – especially the Douro and Dão – Touriga Nacional is also used to produce some of the dry red wines for which Portugal is gaining such great recognition. Other wines for which Portugal is acquiring growing renown include the "peanut wine" Fernão Pires and the crisp white wine blends from the Vinho Verde region which often include local grape varieties such as Loureiro and Arinto (see Growing and Making sections of the website for more information). Remember that to check out these and other sections of this website, you need to scroll to the top of this page and click on the Growing, Making, Drinking and Pairing tabs. Along with its wine, Portugal’s importance on the global wine map is influenced by its role as major producer of cork, used for bottling wine. Made from the bark of cork trees (pictured), Portugal is responsible for over 60% of the global cork harvest. I hope you enjoy this week’s visit to the winelands of Portugal. Next week we’re in Italy! Spain - Welcome to la costa superlativa! In 1587 an ancestor of the Drake Vine, Sir Francis Drake, went on a booze cruise to Spain. In a famous raid on the port of Cadiz in southern Spain, Drake reportedly “singed the beard of the King of Spain” and made off with almost 3,000 barrels of wine. The Drakes’ enthusiasm for Spanish wine has continued through the centuries and, almost 430 years later, we’re returning to Spain, this time not to plunder but instead to explore the country’s wine treasures. If Spain’s wine industry was competing for the vini-world cup, it would surely be a contender for gold trophy status. This is a land of wine superlatives. For starters, it is responsible for some of the spiciest, most powerful red wines in Europe (if not the world). The grapes for these wines are grown in some of hottest and driest conditions in Europe. Spain also wins in the category of producing the world’s most widely-planted grape variety. This is actually a white grape and, astonishingly, it’s one which most of us have probably never heard of before (see Growing section of the website for more information). Yet another superlative: Spain’s wine industry is one of the world’s oldest, dating back to between 4,000 and 3,000 BC. During the period of the Roman Empire, Iberia (modern day Spain and Portugal) was reportedly an important supplier of wine to other parts of the Empire, including Gaul (France) and the Roman garrisons in Britannia (England). Some of the grapes which are today commonly associated with the south of France – notably Grenache, Mourvèdre and Carignan – actually originated in Spain where they are known respectively as Garnacha, Monastrell and Cariñena. 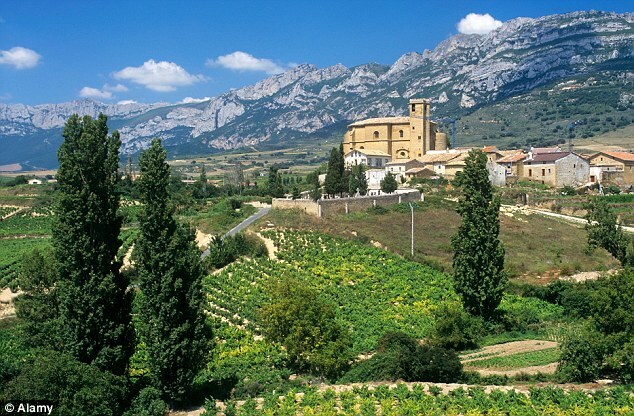 This week I’ve updated the various sections of the Drake Vine to focus on Spain’s key growing regions – including Rioja, Navarra and Rias Baixas – and the country’s leading grape varieties, Tempranillo, Garnacha and Monastrell. The Drinking section of the website examines the main characteristics of wine made from these grapes, while the Pairing section explores some of the best food matches for these wines – these include tradional Spanish casseroles made from peppers and chorizo. 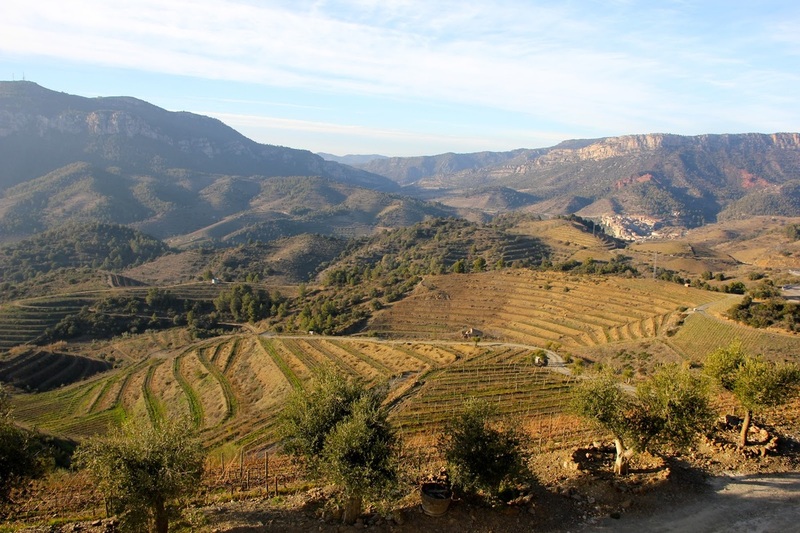 Finally, in the Making section of the website, I outline the main styles of wine that are produced in regions such as Rioja, Jumilla and Calalunya. As this week’s update of the Drake Vine shows, Spanish wine is about much more than just Sherry and Sangria. Next week we’re going to head over the border to neighbouring Portugal. It’s funny how many people say they find French wine confusing, disappointing or both. My theory is that this is something to do with the way French wines are named after the region and/or village in which they’re made and often don’t even mention the grapes on the bottle. In Germany they do things differently and, in some ways, it’s a lot more straightforward. For starters, they grow fewer grapes, with three varieties in particular – Riesling, Müller-Thurgau and Spätburgunder (Pinot Noir) – dominating plantings. Furthermore, the Germans tend to include the name of the grape on wine bottles, alongside other information. This makes it easier to know what you’re buying (unlike in France where you first need a degree in French geography). However, despite the fewer grapes and helpful labelling, German wines present us with other challenges. One is the elaborate system for marking the style and quality of wines – see the Making section of the Drake Vine for an explanation which hopefully makes sense of this. German wines also present us with tricky words such as Prädikatswein, Trockenbeerenauslese and Qualitätswein bestimmter Anbaugebiete. If we’re not careful, mispronuncing some of these could see us being escorted out of a bar, store or restaurant. Germany is the home of the (in)famous Blue Nun, a light-bodied semi-sweet white wine which was first launched in the 1920s and which, by the mid-1980s, had become one of the most widely-sold wines internationally. Traditionally made predominately from Müller-Thurgau grapes, Blue Nun has, since the late 1980s, fallen well out of favour and is now a popular target of so much TV comedy. However, Blue Nun is not all frivolity and, in recent years, the drink has attempted a comeback with innovations such as Blue Nun Gold, a sparkling wine which contains flakes of 22-carat gold. When not devising Eurozone bailout agreements, even German Chancellor Angela Merkel is rumoured to enjoy a glass of this sugary pick-me-up. Semi-sweet wines like Blue Nun have been widely accused of tarnishing the image of German wines internationally. That may have once been true. However, more recently German wines have become associated increasingly with Riesling. Riesling has been dubbed the “Metrosexual” grape because of the easy and self-assured way it carries off so many different styles (see the Making and Drinking sections of this website for more info). Riesling’s ability to look good in a range of outfits extends to the company it keeps: it is sometimes described as the food and wine pairer’s “best mate” because it works so well with a wide range of foods (see the Pairing section of this website). The impact of Riesling on the potential of German wine shouldn’t be underestimated. Indeed, it’s interesting that many of the German Rieslings currently available in the shops come from the 2011 vintage – said to be one of Germany’s best since the 1970s. I hope you enjoy this week’s brief Drake Vine stopover in Germany. Next week we’re off to Sunny Spain. In recent months, Burgundy has experienced something of a revival in popularity. I’m not talking about the colour Burgundy here, although that’s also seen renewed popularity thanks to Rihanna’s hair dying adventures. Instead, I’m referring to wine that’s produced in the French region of Burgundy (Bourgogne) which, confusingly, is also referred to as Burgundy. This is despite coming in both red and white varieties (Pinot Noir and Chardonnay respectively). Although Burgundy is one of the largest of France’s 27 regions, the amount of land used for grape cultivation is actually really small: the area “under vine” extends for a mere 40 kilometres (25 miles) north to south and, in most places, less than 2 kilometres (1.2 miles) east to west. And yet, despite its small size, the region produces vast quantities of wines which range from those that are downright disappointing to wines that have gained huge international fame with prices to match. I don’t doubt that some of the more expensive Burgundies (like their counterparts in Bordeaux) are superior in quality, and that this justifies premium prices. However, as with some other, often, French wines, I sense that price is strongly influenced by the pretentions of international wine investors who are attracted by the status associated with the Nikes, Guccis and Pradas of the wine world. In recent years, the price of French “fine wines” has been buoyed by nouveau riche investors from major emerging markets such as Russia and China. To some extent, Burgundy has benefitted from investor interests diversifying away from Bordeaux. This week I've updated the various sections of The Drake Vine to focus on the two main Burgundy grape varieties, Pinot Noir and Chardonnay, as well as less well known varieties such as the “eye-wateringly tart” Algoté. In the Growing section of the website I explain why Pinot Noir is sometimes referred to as the “heartbreak grape”. And in the Making section I explore some of the bottle labels that are worn by Chardonnays produced in Burgundy. In the Growing and Making sections of the website I briefly touch on another grape grown in Burgundy, and one which dominates the Beaujolais region to the south. This is Gamay Noir, used to make Beaujolais wines such as Fleurie and Brouilly. In some countries, Beaujolais wines have become even more popular than those of Burgundy, with the annual release of the season’s first wines being celebrated with elaborate bathing rituals. The Drinking section of the website highlights the flavour and aroma characteristics of Pinot Noir and Chardonnay and looks at how Chardonnay can be buttered-up using wood. Oaking Chardonnay in wood also has potential to transform the sort of foods it can be partnered with. Meanwhile, when not being used as hair dye, a red Burgundy (Pinot Noir) makes a excellent partner for poultry served in a citrus or red wine sauces (see Pairing section). I hope you enjoy this week’s Burgundy-coloured update to The Drake Vine. Next week we’re leaving France and heading to neighbouring Germany. Last week’s sudden arrival of UK spring sunshine may have encouraged some readers to start stocking up on white and rose wines in anticipation of summer parties and barbecues. If so, I’m sure they’ll appreciate this week’s focus on the wines of France’s Loire Valley. I remember camping in the Loire Valley with my mum and dad when I was a kid. I also remember them being terribly interested in the chateaux, vineyards and wines, as well as the need to calculate how much they could take back to the UK duty free. I never found any of this particularly interesting however. Instead, I got more excited about the dark caves that were dotted along the sides of the valley. And for some reason I remember the mushrooms which seemed to be a popular thing to grow inside these caves. Next time I’m in the Loire, I’ll hopefully pay more attention to the grapes the valley is famous for: mostly white grapes such as Sauvignon Blanc, Chenin Blanc and Melon Blanc, but also red ones such as Cabernet Franc. The parts of the Loire in which these grapes are grown depend on lots of things but, as always, climate is one of the most important (see Growing section of the website for more info). Sauvignon Blanc grapes are mainly found at the eastern end of the Loire in the "Central Vineyards", while the Atlantic coastal region is the home of Melon Blanc, from which Muscadet is made. I bought a bottle of Loire Muscadet a couple of weeks ago (£6.99 from Sainsbury, for UK readers – see pic) as a post-London Marathon tipple (despite the rumours however, I didn't actually run in the Marathon). The wine was really impressive - super dry, with crisp, flinty, mineral flavours. The "Sur Lie" reference on the bottle label (see pic) means that the post-fermented wine was left to sit on the lees (the yeast) for a few weeks or months to give it additional flavour complexity. The Sainsbury Muscadet went really well with grilled tuna and helped inspire my decision to run the marathon next year. The middle sections of the Loire Valley are famous for Chenin Blanc (white) and Cabernet Franc (red) grapes. 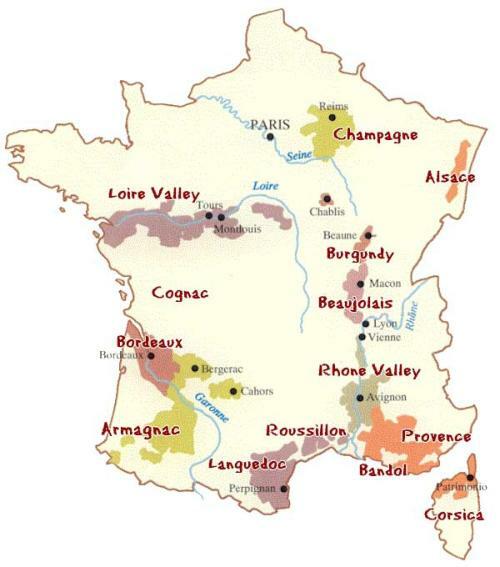 Wines from these regions often appear on supermarket shelves under the "Vouvray" and "Chinon" labels after the districts in which they are produced (see the Making section of the website for more information). This week I've updated the various sections of the website to focus on the main grapes and wines of the Loire. In the Drinking section I've given a brief overview of the key flavour and aroma characteristics of Sauvignon Blanc (green apples, gooseberries and grass) and Chenin Blanc, which is sometimes said to have aromas of wet wool (I must say I've yet to get that one). Meanwhile in the Pairing section of the website, I've highlighted some of the foods that typically go well with these wines: tomatoes, asparagus and Thai food (in the case of Sav Blanc) and mackerel, avocado and apple tart with Chenin Blanc, depending on the wine style. I’m planning to conclude this mini tour of the wine regions of France next week with a brief look at the wines of Burgundy. After that we’ll have a change of scene and move to a different country. As always your thoughts, comments, questions and suggestions are welcomed. Although I've never been to France’s Rhône region, it’s a place I’d like to visit, especially now that we've studied it in class. Despite often being thought of a single wine-producing region, the Rhône actually has two distinct parts with different climates and a number of different grape varieties. The northern Rhône, with its narrow valleys and steep slopes, sounds particularly alluring. However, talk of long hot Mediterranean summers has, for me, only added to the appeal of the southern Rhône. The northern Rhône vineyards lie on the banks of the river between the towns of Vienne in the north and Valence in the south. These vineyards are responsible for producing just 5% of all Rhône wines. However, they are home to wines with strong reputations and prices to match. Some northern producers have gained an international reputation for their wines and have done much to generate the quality image of northern Rhône wines. Around 60 kilometres separate the northern Rhône vineyards from those of the south. The southern Rhône accounts for 95% of the Rhône valley’s total wine production. Quality levels are variable, with wine styles and prices ranging from relatively cheap easy-drinking Côtes du Rhône to rich, complex and pricy Châteauneuf-du-Pape (see the update in this week’s Making section for more information). The Rhône is Syrah country, and this week I've updated the various sections of the website to put Syrah in the spotlight. Syrah is treated differently by producers depending on which end of the Rhône you’re at. In the north, it’s typical for wines to be made 100% from Syrah. In the south meanwhile, where Grenache is the most widely-planted red grape variety, it’s more common to find Syrah being used as a blending partner, often sitting alongside other grape varieties in the blend. There’s sometimes a bit of confusion over the relationship between Syrah and Shiraz. Basically Syrah and Shiraz is the same grape, although it goes by different names in different parts of the world. Whereas the French refer to Syrah, in Australia the grape goes by the name of Shiraz. In other parts of the world a mixture of approaches can be found, with Syrah being used mainly in the rest of Europe, South America and the United States, and the term Shiraz being predominantly used in Canada and South Africa. Although Syrah has been grown in the Rhône valley since Roman times, the grape is thought to have originated in Persia (modern day Iran). Apart from Syrah, key regional grapes varieties grown in the Rhône valley include the red grapes Grenache, Mourvèdre and Cinsault, and the white grapes Marsanne, Roussanne and Viognier. In recent years Viognier has acquired almost a cult status, thanks to its exotic apricot, spice and floral aromas and its rich mouthfeel. I hope you enjoy this week’s Rhône valley-focused update to The Drake Vine. Stay tuned for another French wine region next week! Originally from Aberdeen in Scotland, I currently live and work in London where I recently completed the Level 3 course at the Wine & Spirit Education Trust (WSET). The course covered both wine-tasting and a broad range of theoretical topics related to the wine industry. I launched this blog and website so that I could share some of the insights gained while developing my education on wine and the wine industry. I also share trivia, tips and other information related to wine and the wine industry. When I’m not doing my day job and studying and writing about wine, I enjoy running, gyming, reading and cooking (preferably for friends). All comments, questions and ideas are welcomed!